manufacturing base at Sri City. 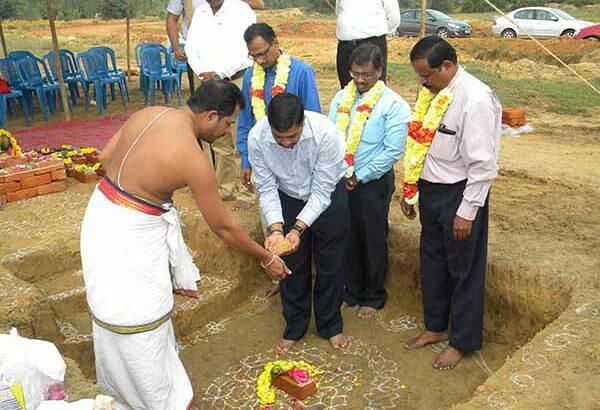 Accordingly, in an auspices ceremony held on Friday, marking the start of construction, Mr. Suba Ganesan, Controller of the company, along with other senior officials broke the ground and laid the foundation stone, in the presence of Mr.Mukunda Reddy, Director, Sri City and Mr. Sk. Aktaf, General Manager, Security & Vigilance, Sri City and a host officials from Paques. The plant which will be built in a 2 acre plot with an investment of Rs.30 crores during the initial phase will be commissioned by this July. The factory would provide employment opportunity for about 75 persons. In Sri City will manufacture reactors for waste water treatment and gas treat. Paques has more than 1800 installations in 60 countries across different industries. It helps companies and municipalities to reduce their fresh water intake, decrease their carbon footprints and reclaim valuable resources from waste. Paques does this by developing ingenious anaerobic water purification systems that produce energy from wastewater, whilst purifying the water and facilitating water reuse. The biogas produced in the purifying process is a source of green energy, a field of emerging interest worldwide. All systems are designed and installed to fit the customer’s specific needs, either integrated with existing treatment systems or as stand-alone solutions. Paques’ technologies have proven to be cost-effective and reliable solutions.